The next LIFE class offers something for everyone. The Certificate course is a fascinating tour of the Old Testament taught by Rev. Dr. Clint McCann and the Elective course is an intriguing look at the Enneagram of spirituality. Rev. Dr. Clint McCann will lead us from creation, through the wilderness, into wars and reconciliation, liturgy, lament, praise informed by GRACE! ALL IN ONE DAY! ZOOM! Dr. Jill Baker will explore The Enneagram of Personality which is generally used as a typology to gain insights into workplace interpersonal-dynamics; in spirituality it is more commonly presented as a path to higher states of being, essence, and enlightenment. Both contexts say it can aid in self-awareness, self-understanding and self-development. Required Reading: Dr. Baker recommends students read the book Wisdom of the Enneagram, by Don R. Riso and Russ Hudson, and do the short tests in it. If possible, take any of the Enneagram tests available online as well. Click here to go to a page on Google with Enneagram test links. It will help you settle on your type much faster when we go through each personality in class. Rev. Dr. Clint McCann is Evangelical Professor of Biblical Interpretation at Eden Seminary. A widely noted biblical scholar, he served as chair of the Psalms Section of the Society of Biblical Literature for ten years. His publications on the Psalms include: The Shape and Shaping of the Psalter (1993); A Theological Introduction to the Book of Psalms: The Psalms as Torah (1993); the Psalms commentary in The New Interpreter’s Bible (Vol. 4; 1996); Preaching the Psalms (2001); Great Psalms of the Bible (2009); Psalms: Immersions Bible Studies (2011); and annotations on the Psalms in The Access Bible, The Learning Bible, and The Discipleship Study Bible. 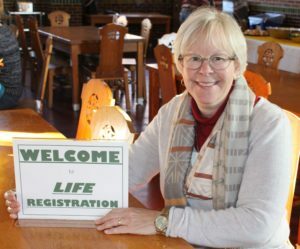 Dr. Jill Baker is active at the local, conference and national levels of the United Church of Christ. 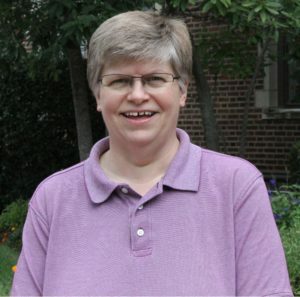 She is presently Vice Moderator of the Illinois South Conference UCC, a volunteer on the General Synod production team, and director of Rainbow Camp in her conference. 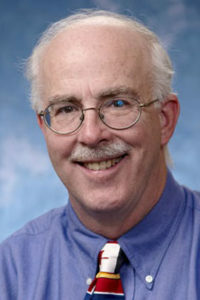 Dr. Baker is also an adjunct faculty member at Eden Seminary. The LIFE classes allow you to choose between the Certificate Course or the Elective Course. Certificate Course: "Old Testament Survey"
Please review all information for accuracy. If all information is correct, click "Submit" at the bottom of the page to complete your registration. Should you find any errors, please select the Back button to make your corrections. Below you will find the details of your transaction.